I did a lot of walking in Washington D.C. Like, a LOT! My wandering in Washington took me to Meridian Hill/Malcolm X Park. 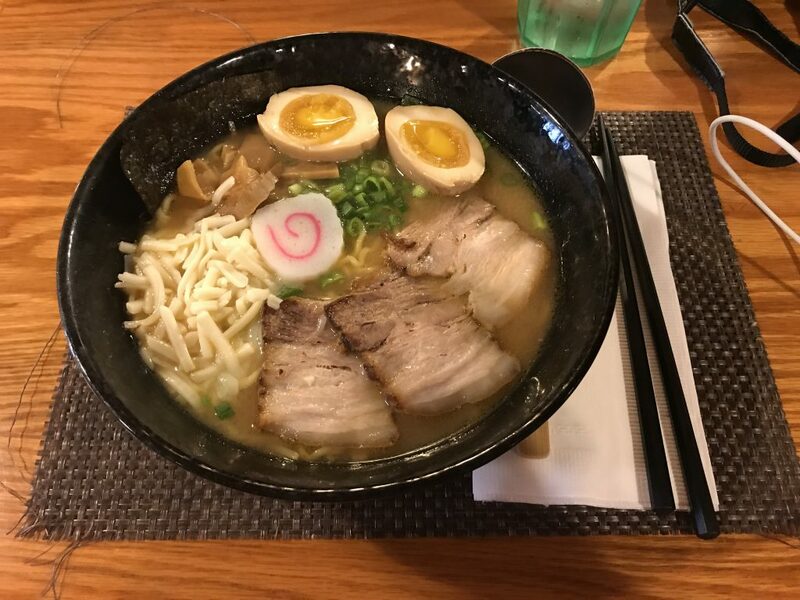 A short stop on a bench to watch a girl hula-hooping and I instinctively reloaded the list I’d found of the best ramen joints in D.C.
To my luck, one was just around the corner. 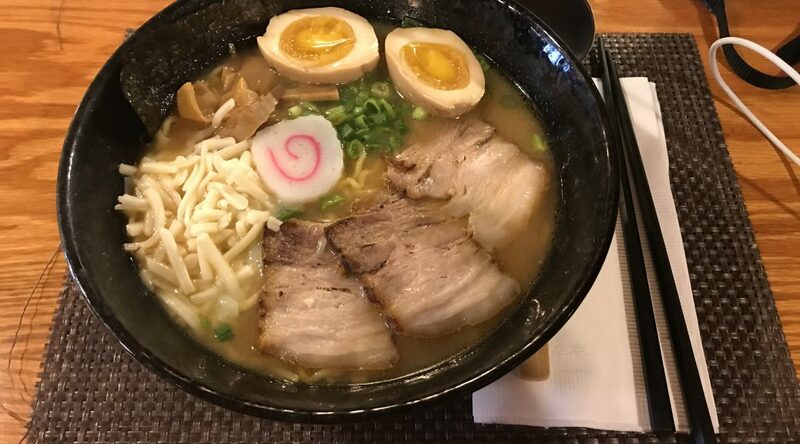 Not just any old ramen, this was the one which offered the option of adding cheese! The Japanese don’t seem to be massive dairy consumers, so this is far from typical, in fact, something I have never seen before. I HAD to try it! I psyched myself up first with a summer negroni at Roofers Union before crossing the road to Sakuramen. The restaurant is in a basement, so from the outside it looked pretty quiet, but inside it was about half full and rock music playing. For a while I was on my own at a giant communal table #BillyNoMates. There didn’t seem to be an alcoholic option, so I plumped for a Sprite. I then ordered the fried gyoza and the DC miso ramen. Sadly, the gyoza never showed up, but I didn’t complain because I realised I probably didn’t need it anyway! It was possible to just see into the kitchen, which seemed to be really busy, but my noodles arrived quickly. An American couple came in and joined me at the long communal table. Like me, they knew exactly what they wanted before they had sat down! Sakuramen must do a roaring trade in cheesy noodles! Another kamoboko gently floated in the broth, and there, lurking at the side of the bowl, a small mound of shredded Monterrey Jack cheese. I sampled all elements separately just to taste, but then stored in the cheese. It gave the broth a slight sourness, without it being flavoured like cheese. It also added to the creaminess of the liquid. 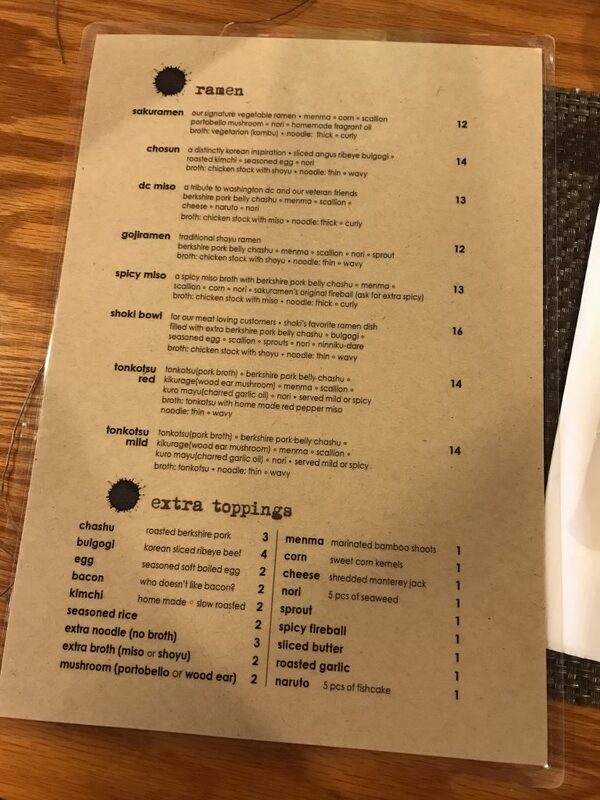 The egg was perfect and pork itself was incredible, maybe some of the best I’ve had. The fashion in America seems to be to cut up the slices of pork, which makes it a lot easier to eat too! I would highly recommend Sakuramen. 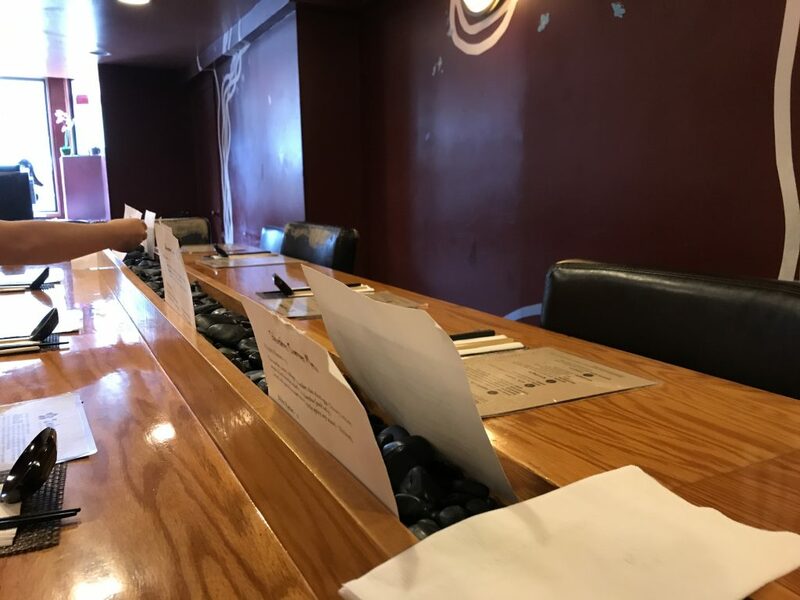 It’s such a shame that my starter didn’t arrive and that there wasn’t the option (that I could see) of a cocktail or a sake, so I have to dock points for that. However it did make the meal super cheap, coming in at $18. The addition of the cheese though, that was a revelation! Something I could see becoming popular in the UK, or in my kitchen at least! Even with the missing starter, I rate Sakuramen a RAMEN (4 out of 5).